We often get asked "what Product Photography Equipment do I need to photograph a product" - not as easy an answer as it may at first appear, due to the many different types of products out there, the quantity involved and the individual properties of those products. 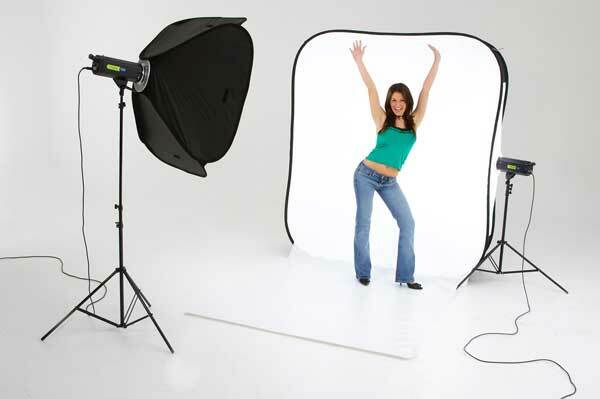 This is a fabricated Product Photography Table with a metal frame and a special piece of white translucent plastic that is used as the background for shooting products. Material - this ranges from thin budget nylon to the top of the range velvet lined Nylon. The thicker the material, the greater the diffusion effect and velvet lined add anti reflective properties. Features - This ranges from the simple "none" to clips & loops for holding different backgrounds, multiple openings for different angle shots, open bottoms for stable standing of very lightweight objects (such as wedding rings) to zipped openings instead of simple slots. Backgrounds - This ranges from none to multiple coloured backgrounds, from nylon to paper to plastic to velvet coated. Collapsible - can be put away. Not ideal for production runs of many products at a time. Isolates subject - ideal for highly reflective subjects where their surroundings will be reflected on it's surface (including you taking the picture!). Size of tent can be limiting factor in shooting future products. Many types available = competitive pricing. Subject is isolated and therefore it's hard to add "highlight" lighting - such as a glint on diamond rings. Background Sets A set utilising a paper/vinyl or curtain background with lighting at the front ( ideally with 2 lights at the back for white backgrounds), this is the traditional way of photographing products and offers the most versatility in terms of the types and sizes of products that can be photographed. Weight of product not an issue, ideal for very heavy or dirty (vinyl background) objects in the case of Paper Rolls there is an ongoing cost in terms of replacing the rolls as they get used up (dirty). Large range of background colours available. Illuminated Backgrounds A relatively new product introduced by Lastolite in 2006, the backgrounds (called Hilites) are side illuminated and throw pure white light forwards making for very easy High Key (white background) pictures - ideally needs 4 heads (2 at the front and 2 in the Hilite). 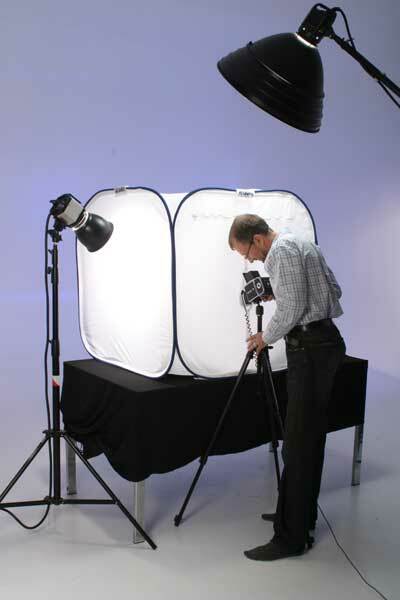 So what Product Photography Equipment do we recommend for what? 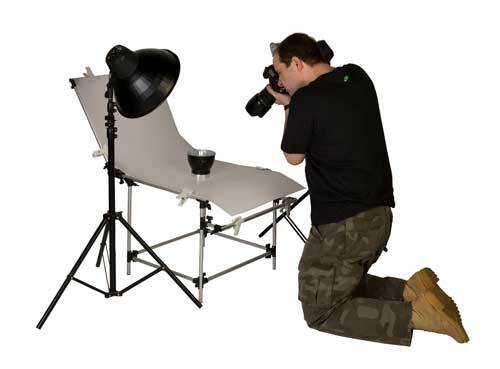 The table below is intended as a guide, all of the Product Photography Equipment may be used for other products with different levels of success.